Homeowners on Fairley Road in Ross Township, Pennsylvania, say their neighbor Bill Ansell is terrorizing them year round with his hostile anti-Christmas spirit. Ansell, an electrician, has a display on his yard that features a beheaded choir, a hanging Mickey Mouse and even a urinating Santa Claus that lights up at night. Tune in to the full story on ABC News' “20/20” TONIGHT at 10 p.m. ET. Neighbors Chris and Joanne Hebda said they have had to stare at the unpleasant decorations for the past six years. Fairley Road is a unique cul-de-sac; a circular street with Ansell's house right in the middle, surrounded by six other homes. That makes it hard to avoid his handiwork. 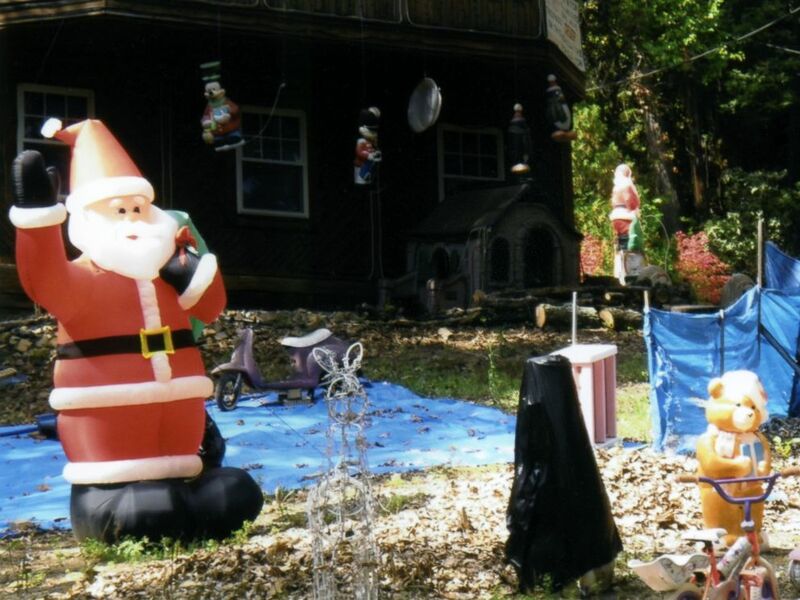 Various decorations, including a hanging Mickey Mouse and a Santa Claus, are pictured here on Bill Ansell's yard. Homeowners on Fairley Road in Ross Township, Pennsylvania, say their fellow neighbor Bill Ansell is terrorizing them year round with his hostile anti-Christmas spirit. They all feel trapped. Friends and family won't visit them, and worst of all, they can't sell their homes. “You're a prisoner on your own street right now. It may come down to just leave the house empty and move,” White said. The Fairley Road homeowners say they are at their wits end. They have repeatedly called police and complained to the township Board of Commissioners, but so far say they have seen little done. Ross Township has fined Ansell for local code violations, and in a statement to "20/20," the Ross Township said they have "taken and will continue to take appropriate legal action." “The Township has taken and will continue to take appropriate legal action,” said Grant Montgomery, president of the Ross Board of Commissioners, in a statement to ABC News. To date, Ansell has not complied and township officials won’t say if and how it will enforce the order. For years, Ross Township has done nothing more than fine Ansell for the debris and signs on his property. But, he has not paid any of those citations. There is currently a 6-month-old court order demanding that he clean up his yard, which he has also ignored. 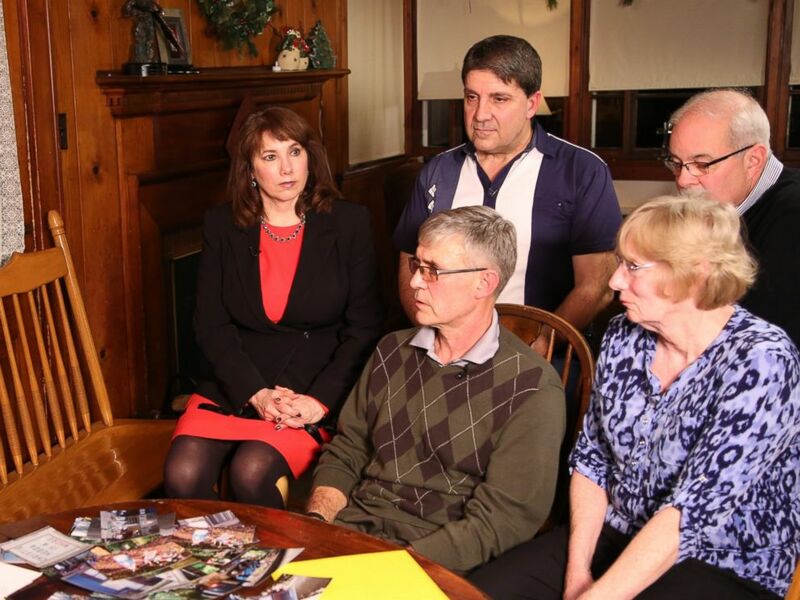 Watch the full story on ABC News' “20/20” TONIGHT at 10 p.m. ET.